Fully restored to 1950's condition. Grade II listed. Notes: Access to Loughborough Central Station is from Great Central Road, which was newly built to serve the line. The entrance is from the brow of a road bridge where there is a street level booking office which included a parcels and luggage offices. From here a wide stairway leads down to the platforms. 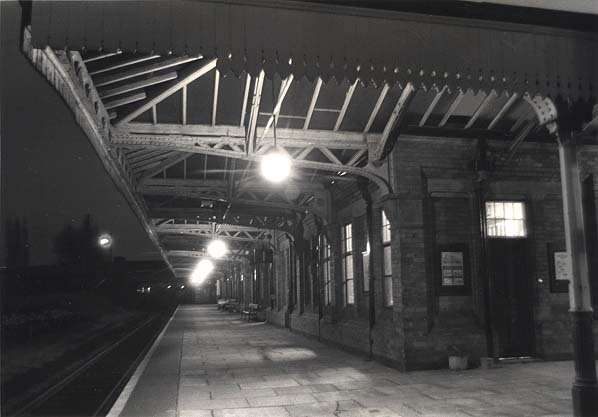 Passenger facilities were housed in two long blocks running along the centre of the island platform. 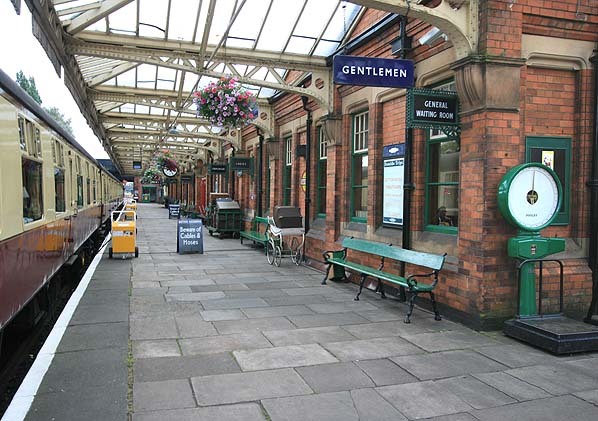 As with the other stations, a gents convenience stands alone at the far end of the platform. As originally built, there was a refreshment room complete with cellars and separate waiting rooms for first class passengers. Underneath the booking hall were former porters' rooms and a lift shaft which was added in the 1950's. The station is similar in design to the larger stations on the London Extension at Rugby and Brackley. 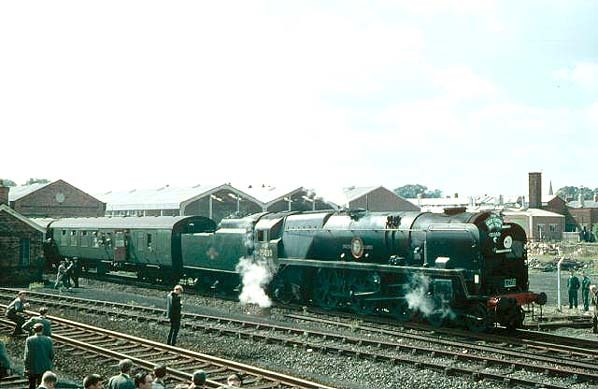 The goods yard was on the 'down' side of the line but with six sidings was not extensive suggesting that little traffic was generated from the town, the goods service was withdrawn on 6th April 1964. 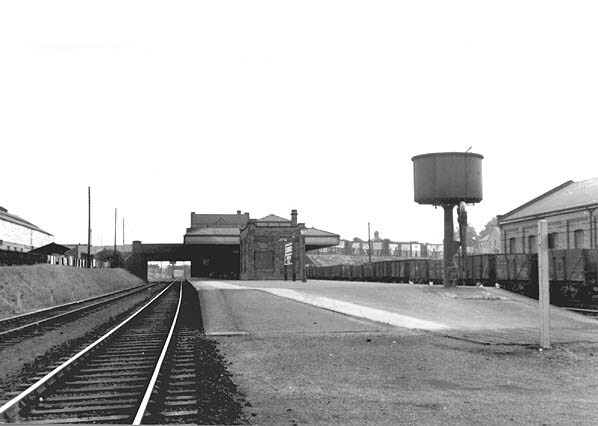 A motive power depot depot was built the north of the station. 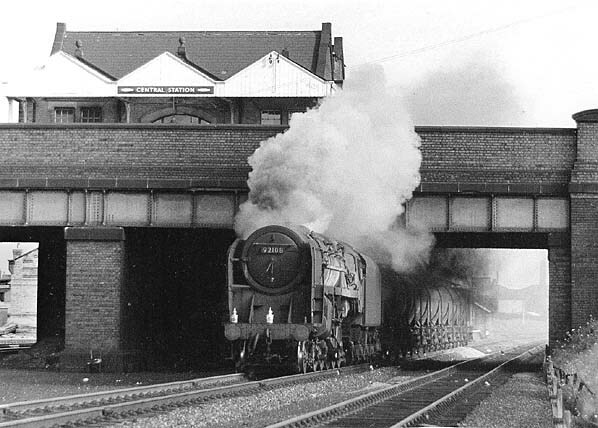 With the withdrawal of the local services on the Great Central from 5th September 1966, the station was unstaffed until final closure of the line on 5th May 1969.
in preservation. The old Station Masters house has not survived; this was between LIttle Moor Lane and the Empress Road Bridge and was unusual in that it was bought rather than built by the railway. 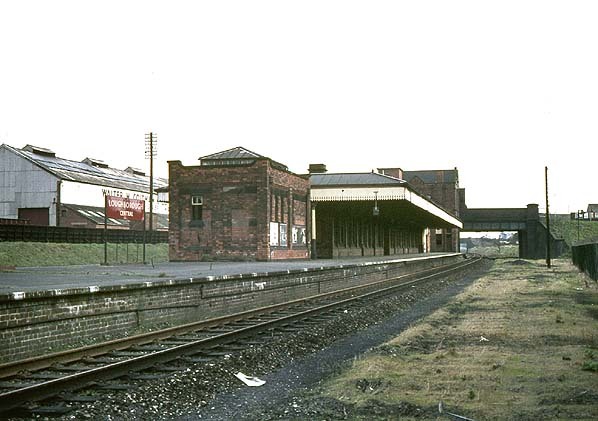 The platforms at Loughborough are 400ft long, and are capable of accommodating seven coaches.The large goods shed does not form part of the preserved railway and is now in industrial use. To the north of the station the track remains in place almost up to the Grand Union Canal from where it has been lifted between the canal and the Midland main line. The preserved station has impressive facilities in some fairly cramped conditions, this includes a book and gift shop, the museum, a refreshment room, ladies waiting room & powder room, general waiting room, gent's toilets and an emporium. On top of this, the station also plays host to the 'control centre' of the railway from which the duty traffic manager organises all movements which take place on the railway from the station masters office. The station has been recreated as it was in the 1950's, including reproduction British Railways posters and BR eastern region blue 'totem' signs, there is also a display of 1950's platform trolleys and bicycles. The original GCR signal box sited to the north of the station and the three original water tanks are all grade II listed with the station. Loughborough Central has featured in numerous film and TV programmes including the film 'Enigma' based on Thomas Harris's best selling novel and charting the fight of the World War II code breakers at Bletchley Park and Beaumanor. Source: Wikipedia and People making places web site. unable to reach agreement and eventually was left with little option than to build his own line southward from Sheffield to reach the Metropolitan. 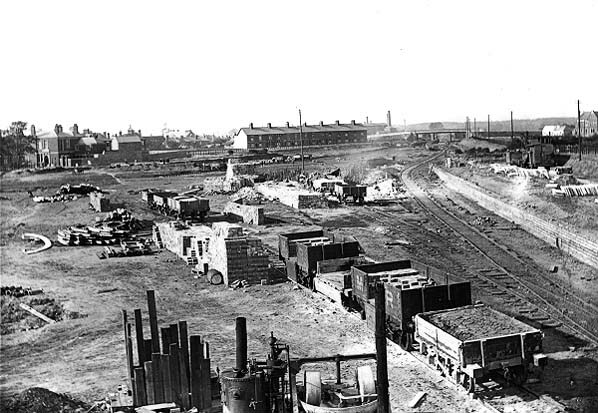 enthusiasts set up the Great Central Railway (Nottingham) Ltd with the aim of redeveloping the derelict Ruddington Ordnance depot as part of a country park project. The depot was turned into the Nottingham Transport Heritage Centre (NTHC) and trains were run on a small length of line into the depot. Too see other stations on the Great Central Railway between Sheffield Victoria and Aylesbury click on the station name: Aylesbury, Waddesdon, Quainton Road (1st site), Quainton Road (2nd site)**, Calvert, Finmere, Brackley Central, Helmdon, Culworth, Woodford Halse, Charwelton, Braunston & Willoughby, Rugby Central, Lutterworth, Ashby Magna, Whetstone, Leicester Central, Leicester North***, Belgrave & Birstall, Rothley**, Swithland****, Quorn & Woodhouse**, East Leake, Rushcliffe Halt**, Ruddington, Ruddington Factory Halt, Arkwright Street, Nottingham Victoria, Carrington, New Basford, Bulwell Common, Bulwell Hall Halt, Hucknall Central, Annesley South Junction Halt, Hollinwell & Annesley, Kirkby Bentinck, Tibshelf Town, Pilsley, Heath, Staveley Central, Renishaw Central, Killamarsh Central, Beighton (1st site), Beighton (2nd site), Woodhouse Junction, Woodhouse*, Darnall*, Sheffield Victoria & Sheffield Bridgehouses.